Summer 2007 (July &August) - The Urieli Adventure - WOW!! 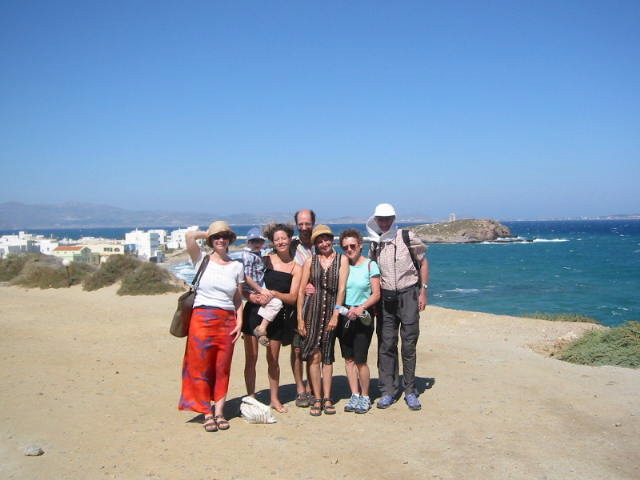 Somehow it all came together - with Sharon in Israel, Assaf, Joelle and Mischa in France, and Michal moving to Romania, the obvious place for the first UriFaR [Urieli Family Reunion] vacation was to spend 10 days on the Greek island Naxos. The kids went back, and Nili & Izzi went on to spend 6 weeks in Russia, from St. Petersburg (visiting with family for the first time), on to Moscow and then a 400 mile bicycle tour around the Golden Ring of Russia followed by a Trans-Siberian train ride to participate in a Yiddish program in Birobidzhan (on the Far East of Russia), stopping off briefly in Irkutsk for a visit to Olkhon Island on Lake Baikal - whew!